Two people injured in explosion in southern Lebanon. Hizbullah claims: The IDF is behind the explosion. An explosion was heard on Friday in the southern Lebanon towns of Srifa and Deir Kifa, the Beirut-based Daily Star reported. According to the report, there was conflicting information regarding the explosion, with some sources speculating that it was a result of a cluster bomb and others saying it may have been caused by an Israeli drone. 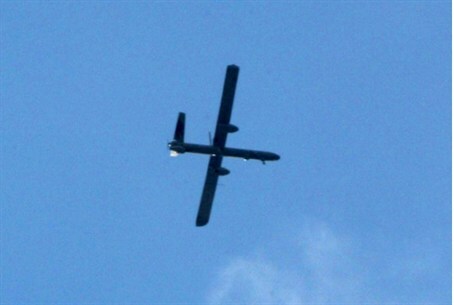 Local residents told The Daily Star that prior to the explosion, an Israeli reconnaissance plane was heard flying over southern Lebanon. The Lebanon-based Hizbullah terror group later claimed that the explosion occurred as the IDF detonated an espionage device that had been monitoring a communications network. The Daily Star reported that two people were injured in the explosion, but Hizbullah’s statement said there were no injuries. An official with the terror group told AFP that earlier on Friday, the movement had sent five of its members to monitor the area where the device had been planted, which could have alerted the Israelis that their equipment had been exposed. The explosion comes after an incident earlier this week in which four Katyusha type missiles were fired from Lebanon into northern Israel. The missiles exploded in two communities near the border with Lebanon. There were no reports of physical injuries but damage was caused to a chicken coop in one of the communities. Hizbullah did not comment on whether it had fired the missiles, and the Al Qaeda affiliated Abdullah Azzam Shaheed Brigades in Lebanon later claimed responsibility for the attack.